It’s time for another tag post. 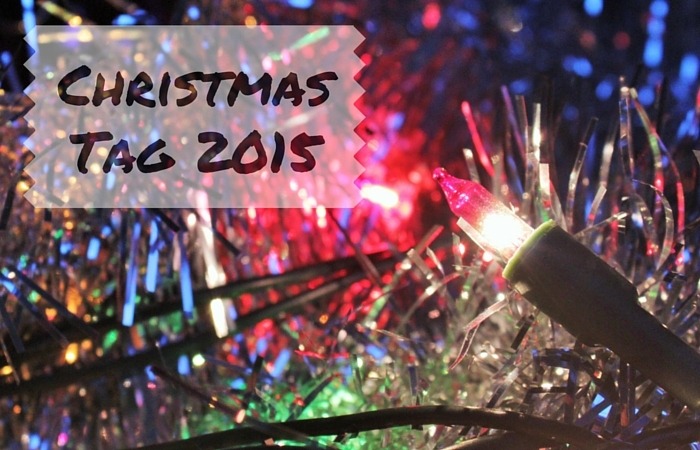 This time it’s the Christmas Tag 2015. Found this one over at Class and Glitters place. And just like last time, if you think that doing this tag would be fun; I tag you! And please let me know if you decide to do it, so I can give it a read and get into some Christmas spirit. 1. Your Favourite Christmas/Festive Film/s? It must be Love Actually. 2. Your Favourite Christmas Song? Last Christmas for sure. And that Christmas song by Bonny M.
3. What clothes do you wear on Christmas Day? No idea but on Christmas Eve I plan to wear my new tinsel sweater from H&M and a dress or skirt to that. And glittery socks and boots if I go outside. Last year I thought that I would never ever buy a fake one. But now we have cats, and I also really like the thought of a white tree with colorful baubles, so if we ever buy one it will be a fake. 5. What is the top of your list this year? Recently mentioned cats I guess. Other than them a job, an income or just lots of stuff from Lush would be great. 6. If you could spend Christmas abroad, where would it be? Somewhere where they have snow at least. Other than that I don’t know. 7. How is your present wrapping? I’m kind of good at wrapping flat stuff. And this year we bought a double printed paper so I could fold it so that both sides of the paper will be seen. Looks really cute. To see what I mean head over to my Instagram and check one of the wrapped gifts out. 8. Favourite part of Christmas Dinner? The salmon and the brown cabbage. 9. What is your favourite festive drink (hot or cold)? Hot chocolate! I don’t drink alcohol ever and don’t think that it belongs on Christmas for anyone. When we had a dog and she used to drink from the water under the Christmas Tree because of the sugar in it. Liked this post? Make sure to check out my answers on the Winter Tag too. ← Shopping Guide: Affordable Basics. Gingerbread lattes or hot chocolate have to be my fave! Oh gingerbread lattes sounds fab!